And he sent them out to proclaim the kingdom of God and to heal the sick. 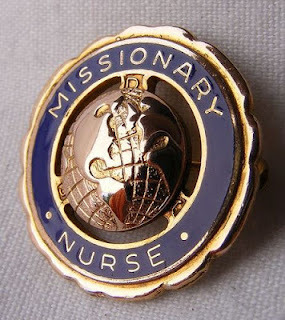 Today as one of my friends embarks on a summer ministry that the Lord has given her I thought I would look at being a missionary nurse. What Is A Missionary Nurse? A missionary nurse is someone that is trained in both the spiritual and physical needs of people. They are sent to other countries to help those that are in urgent need of care. Missionary nurses not only treat the physical ailments of people with illnesses or injuries. They are also trained to share their beliefs and faith with them as well. These nurses believe deeply that faith and healing work together hand in hand. Most missionary nurses will use their skills helping out in third-world countries. To most it is not just a job, it is a calling. Along with meeting the health care needs of individuals, they will also do work in the states to help raise awareness about help needed in foreign countries. This can include well digging for clean water to building much needed schools. Missionary nurses will also help to set up clinics and educate patients regarding proper nutrition and dental care to those that are living in underdeveloped countries. Support for nurses that do missionary work is usually received from nonprofit organizations and churches. The demand for missionary nurses to help in third-world countries is great. Even in more developed areas of those countries these nurses are in great need. Unfortunately, there is not always a lot of money to be made in this type of work. Many of these types of nurses don’t even do this for the money and will do it on a volunteer or temporary basis. As we head into the summer let’s take a minute to remember those who are serving our Lord in the field of nursing. Dear Lord, we thank You for those around us are serving you as missionary nurses. We pray for protection as they serve you. We thank You for their willingness. We pray that we would use the talents and gifts You give each of us to serve You. In Jesus’ Name, Amen. Among their many tasks, the Royal Northwest Mounted Police (aka: NWMP or Mounties) in Fort MacPherson, North West Territories, was also in charge of delivering mail to Dawson City, Yukon, a trek of 475 miles by dogsled. The trail was quite hazardous. The sleds often broke through the ice over the lakes and rivers, and the temperatures were often extreme. In December 1910, Inspector F.J. Fitzgerald, along with three of his comrades, was in charge of the next mail delivery to Dawson City. They left the fort to never return. 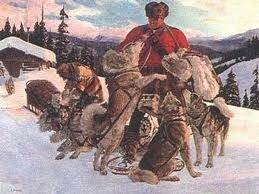 On February 28th a search party with dogs was send out from Dawson City. (Note that three months had already gone by! Bureaucracy?) Three weeks later they discovered the bodies of the Fitzgerald patrol 35 miles from Fort MacPherson. It seems that Fitzgerald had lost his way in the Oglivie Mountains and decided to head back to Fort MacPherson. Because of lack of supplies, bad weather, sparse game and inexperience, however, they never made it. Shortly after this disaster, rest cabins and supply caches were set up along the route to Dawson City, and experienced First Nations guides and hunters were arranged to accompany every patrol. As a result, the Mounties learned to depend on the knowledge and generosity of the First Nations people for survival in this harsh climate. They soon realized that their issue uniforms were not the most efficient for the Yukon's weather (red is nice, but how useful is it in a snow storm?) And a decision was made to adopt the clothing of the First Nations people: fur-trimmed coats, hide mitts and mukluks. Many of these were given to the police as gifts. Soon the First Nations people became indispensable to the Mounties as dog drivers, guides, hunters, interpreters and tailors. The designation of "Special Constable" was given to these men, and with their help, the fatal consequences suffered by the Lost Patrol were avoided by future NWMP constables. Having a reliable guide, one who knows the way and knows how to avoid danger, is a very important thing, especially in this world of chaos and confusion! We often wonder what to do, which way to turn, what decisions to make, etc., and the advice of our fellow human beings often leave us wanting. There is a Guide who is infallible. Not only this, but He's also available at all times! You can entrust your very life to His hands, with the assurance that you couldn't be in better hands (not even your own!)! Discover for yourself how awesome and welcome His presence is in your life. Invite Him with open arms and embrace His unending love. You will experience a friendship out of this world, one that you will never regret! With the Holy Spirit you never have to lose your way through life. Dear Lord, lead us today. Help us let You take control of all we say and do so that we may do the things You would have for us. Help us be witnesses for You. In Jesus’ Name, Amen. 1 “At that time the kingdom of heaven will be like ten virgins who took their lamps and went out to meet the bridegroom. 2 Five of them were foolish and five were wise. 3 The foolish ones took their lamps but did not take any oil with them. 4 The wise ones, however, took oil in jars along with their lamps. 5 The bridegroom was a long time in coming, and they all became drowsy and fell asleep. 6 “At midnight the cry rang out: ‘Here’s the bridegroom! Come out to meet him!’ 7 “Then all the virgins woke up and trimmed their lamps. 8 The foolish ones said to the wise, ‘Give us some of your oil; our lamps are going out.’ 9 “‘No,’ they replied, ‘there may not be enough for both us and you. Instead, go to those who sell oil and buy some for yourselves.’ 10 “But while they were on their way to buy the oil, the bridegroom arrived. The virgins who were ready went in with him to the wedding banquet. And the door was shut. One thing they forgot is that the weather on top of Mount Washington is quite erratic. It can be sunny one moment, and the next it can be undergoing a heavy storm. Snowstorms can hit this mountain every month of the year, with an average of 311 inches of snow (7.9 m) per year! Mount Washington also has the world record of the highest wind speed: 231 mph (372 km/h), and fog is also a regular visitor. After climbing above the tree line, Lizzy's party eventually hit fog, and then, a storm they weren't prepared for. They got lost in the blowing snow, and poor Lizzie died during the night. 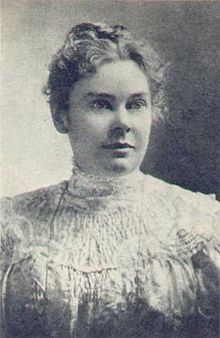 She is suspected to have succumbed to hypothermia, as a result of the cold, wet and windy conditions. The next morning, after the fog lifted, the survivors realized that if they had persisted through the storm for just a few more meters (less than a 100! ), they would have reached the summit, as well as a simple, accommodating hotel located there. Too often we go through life as ill-prepared as this climbing expedition. The storms of life hit us expectantly and we cower in our own little corner, completely unprepared. One day Jesus will return, and on that day, we may not be as well prepared as we need to be. Matthew 25 indicates that our lights can easily run out of oil and go out. A sad fact, as the unsaved in the world depend on seeing our lights in order to be saved! Didn't Jesus clearly tell us, "You are the light of the world. A city on a hill cannot be hidden" (Matt 5:14 NIV)? For a light to burn in Jesus' days, it needed oil. In our day and age it needs a battery or electricity. In the Bible, oil is used as a symbol for the Holy Spirit (See 1 Samuel 16:13). Just like electricity brings our electric devices to live, He is the One who makes us alive. He is the One who can make us shine brightly. Without Him, we cannot expect to shine. Not only is He our source of energy, He is also our guide and counselor in all things (See John 16:13). But how often do we rely on Him when making decisions? Has He truly become a part of our lives, or are we considering Him as just a convenience, that we can easily discard when we have used up His usefulness? The sad fact is that all ten of the virgins lacked oil, and all their lamps eventually went out. Five of them had some oil in reserve, just enough to get the lamps to burn again for the coming of the bride. Are we ready for His coming? Lizzie was so close to reaching her goal, but the storm hindered her from realizing it. She died at 23 years of age, a tragic accident that could have been prevented. We can still do something about our situation. It's not too late. May we start by getting to know the One who lives in us, and may His love make us shine beyond the dark recesses that surround us. Dear Lord, thanks for the Holy Spirit and the way He guides us. Help us strive to get to know all about Him so He can lead us along the way. In Jesus’ Name, Amen. Lynette Mohammed has learned to find joy in the midst of life's trials. If you had asked Lynette two years ago who her best friend was, she wouldn't have skipped a beat. It was Boyie, her husband of twenty-four years. The two had met as youngsters in Trinidad, West Indies, and Boyie had been her first and only boyfriend. After they married, the two did everything together. They were the epitome of a couple in love with Jesus and each other. Boyie and Lynette lived in Brooklyn with their two children, who were in their early twenties. Every day, Boyie went off to work in downtown Manhattan. The view of the city was breathtaking from the ninety-third floor of Tower One of the World Trade Center, where he worked. He was there on September 11, 2001, when both towers collapsed from a terrorist attack. Both Boyie and Lynette were dedicated followers of Christ and members of the Brooklyn Tabernacle. I spoke to Lynette two days after the attack, searching for the right words with which to comfort her. Although Mayor Rudolf Giuliani still held out hope for possible survivors, things looked pretty grim. Lynette had already accepted the fact that her husband would never come home again. She had lost her best friend. One Sunday Lynette and her daughter stood on the platform together as the entire Brooklyn Tabernacle called on "the God of all comfort" to help our sister and give her consolation. Lynette struggled most at night when she was alone in her bedroom. Without Boyie, the house seemed strange, and it was filled with painful reminders. Friends spoke almost daily with Lynette, and one day her pastor called to find out how she was doing. "Pastor, thanks for calling," she replied. "The Lord has been so good to me." Her voice and spirit seemed strong and vibrant. "The other night the most wonderful thing happened. I couldn't sleep, so I went into the living room to spend time with the Lord. I sat in his presence and told him how hard it was to carry on without my husband. Oh Pastor, his Spirit came to me as I was sitting there, and he flooded me with not only peace, but his joy also. I began singing and worshiping God there in my living room as if I was in a sanctuary filled with other Christians. Oh Pastor, God has been so good to me!" Her pastor was stunned. He was the one who had called to encourage Lynette, and here she was, lifting his spirits. The fullness of her joy flooded over into his life, and he praised God for his faithfulness and tender care. Lynette needed all that comfort and more in the months that followed. Just as she was healing from the tragic loss of 9/11, Lynette was contacted by the city with news that her husband's "body" had been found. This news took Lynette back to a painful time, but she carried on with stamina and a cheerful heart. To make matters worse, Lynette's grown son had been troubled by deep emotional problems for several years. Though the family was gravely concerned for him, no one anticipated that he would commit suicide only months after his father's tragic death. Once again Lynette's heart was shattered. But the same God who comforted her after the loss of her husband consoled her again at the loss of her son. If you visit the Brooklyn Tabernacle, you will find Lynette serving in the hospitality ministry. She is one of the folks who makes the long Sunday schedule easier on the pastoral staff, the musicians, and any special guests present. Though she has an attractive, youthful appearance, her smile is what stands out. Whether serving food or greeting guests, she fulfills, through supernatural grace, the wise word spoken by Moses long ago: "You are to rejoice before the LORD your God in everything you put your hand to" (Deuteronomy 12:18). We need to follow Lynette's example so that we, too, follow the counsel of Scripture. It is not enough to rejoice once a week in church or when our circumstances seem rosy. Like Lynette, we must rejoice in the Lord in everything we put our hands to. Dear Lord, we pray that we would follow Your leading from the Bible to put everything in Your hands. Make it a priority in each of our life. In Jesus’ Name, Amen. 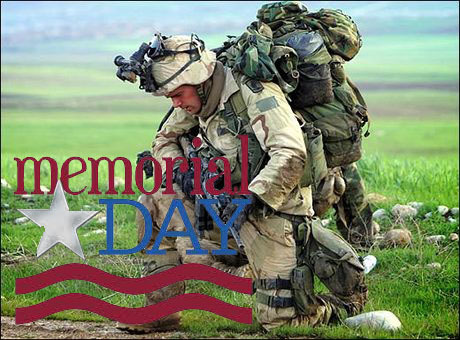 Memorial Day is a day that is set aside to remember, and honor, our brave soldiers who have given their lives to protect our land and keep us free. It began as a day to honor our Civil War dead, but after World War I, it was expanded to include our war dead from all the wars in which America was involved. According to historycentral.com , our country has fought in 12 wars (not counting the Afghanistan War which brings the updated total to 13.) In every one of these cases, we have asked the young people of our nation to be willing to give their lives in the name of freedom (for us and others in foreign lands.) The sacrifices these young men and women have made can never be totally comprehended nor can they be repaid by us. We can never begin to understand what they went through, and are continuing to go through, all because they love their nation and the freedoms we take for granted every day. We can never begin to repay them and their families for the sacrifices they have made for us. It seems as if saying “Thank You” just isn't enough. Dear Lord, we thank You for all those that put their life on the line for the freedoms that we have. We pray for safety for those who are serving now. In Jesus’ Name, Amen. We live in a day and age when people blow themselves to smithereens in order to further various causes. You have to wonder why anyone would do such a thing. In reality, most of these people are desperate, without even the slightest bit of hope for a brighter future. For these people, the human promises of an appealing after life may be motivation enough to choose such a horrible death. But how can one justify killing innocent people and children, even those who carry the label of infidel? When General Dietrich von Choltitz faced similar orders, his response was quite different. He had been appointed the governor of Paris, and he was expected to obey all orders of his führer, Adolph Hitler. The allies had devastated several German strongholds throughout Europe, and Hitler feared that Paris would be next. His orders to General von Choltitz were very specific: "Destroy the city. Do not surrender it intact to the Allies. The city must not fall into enemy hands, unless it is lying in complete debris." Explosives had been placed all over Paris. In electric and water facilities, under centuries-old bridges spanning the Seine, in the 400-year-old Palais du Luxembourg with its numerous treasures, in the Chamber of Deputies, the French Foreign Office, the telephone exchanges, the railroad stations, the aircraft plant and in every major factory in the nearby area. Moreover to ensure that Paris would burn, a tunnel under the city was filled to the brim with U-boat torpedoes. Once ignited, these would produce utter devastation. Although uprisings did start in Paris, General von Choltitz did not follow his orders to fight until the last bullet. Instead, he was able to negotiate with the Résistance to keep violence minimal, thus preventing any damage to the city. When surrounded by allied troupes, he surrendered, and disobeyed yet another direct order from Hitler, he refused to blow up a city that was filled with such beauty and history. You can imagine how furious the führer must have been! Instead of sowing death, General von Choltitz tried to sow life. 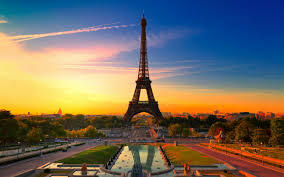 Instead of strife, he tried, to the best of his ability, to promote peace in the city of Paris. What a difference in perspective between those geared for revenge and destruction and those geared to protect lives and promote peace! The apostle Paul makes us aware that each one of us has a choice to make. We can take the easy road and follow our sinful nature. The result, however, is a mind "set on what nature desires" (addictions), hostility towards God, and a mind-frame geared for death. We can also choose to decide to live according to God's Spirit, and have our "minds set on what the Spirit desires" ("love, joy, peace, patience, kindness, goodness, faithfulness, gentleness and self-control. This mindset promotes life and peace. To which of these two groups do you belong? To which of these two groups would you like to belong? Dear Lord, help us life in the mind set according to the Holy Spirit. Help us have the mindset that are full of the Holy Spirit’s desires. In Jesus’ Name, Amen. In 1997, Eric Harrah was an owner of twenty-six abortion clinics. Living in State College, Pennsylvania, he was so miserable that in desperation he cried out to the Lord, though he had turned his back on Christ years earlier. Steve Stupar was a local Christian businessman and he invited Eric to lunch. While at the restaurant, Steve told Eric that the Holy Spirit had revealed three things to him and he wanted to confirm them. He said, "The name John keeps coming up. What does that name mean to you?" Eric replied, "That's my grandfather's name. He is dying with lung cancer." He said, "I saw a girl in a plaid outfit and a white shirt. Do you know who that would have been?" As soon as he said that Eric knew it was his sister. But Eric wasn't impressed because people knew he had a sister and everybody knew who his grandfather was. Then Steve said, "The Holy Spirit revealed to me a plate that had blue pills on it with white bands. Does that mean anything to you?" At first Eric denied it, but later confessed that he had considered taking his life a week earlier with a bottle of pain medication. Steve then shared the good news about Christ and Eric became a Christian. The Lord still speaks to us today through His Word and He supernaturally reveals things for His glory. 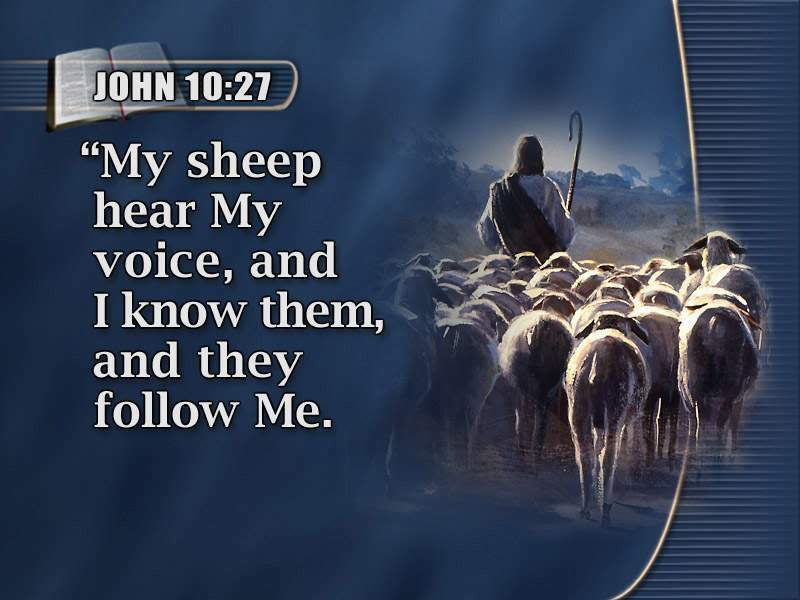 Are you spending time in God's Word so you can recognize His voice? Dear Lord, thank You that You still speak to us today. 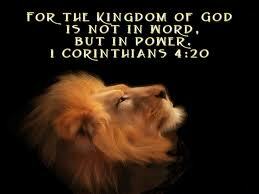 Help us take the time today to read the Bible so you will know Your voice. In Jesus’ Name, Amen. 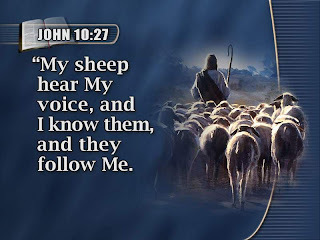 Do You Hear Your Father's Voice? An Englishman tells a true story of his encounter with a Muslim man while walking in the country. The Englishman wanted to share the gospel with this man but knew little of Muslim beliefs. The two men talked as they walked and agreed they would each share their beliefs with one another. The Muslim went first and dominated the time of sharing. The Englishman asked the Holy Spirit how to share his faith with the Muslim man. "Do you consider your god your father who speaks?" asked the Englishman. "Certainly not," replied the Muslim man. "That is one of the big differences between your god and my God. I consider my God as my Father who speaks to me personally." "You cannot prove that," stated the Muslim man. The Englishman again prayed to himself, "Lord, how do I prove this to this man?" A few moments later the two men began walking toward two young ladies on the other side of the road coming toward them. As they approached, the Englishman spoke to the ladies and made small conversation. He then said to one woman, "I believe you are a nurse, is that correct?" The woman was startled that a man whom she had never met had just informed her of her occupation. "How would you know that? I have never met you before," she questioned. He replied, "I asked my Father and He told me." The Muslim had his proof. 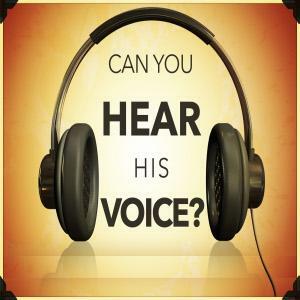 Many of us do not hear God's voice because we do not believe He speaks or desires to speak to us. In order to hear, we must listen. In order to listen, we must believe that He speaks. Ask the Lord today for a listening ear so that others might know that you have a heavenly Father who speaks. Dear Lord, today we come before You and ask that we have our ears open to You. Help us not be so busy that we don’t hear You. In Jesus’ Name, Amen. Today I had surgery on my foot. I read an article from a doctor that I found interesting. The surgeon Atul Gawande's book The Checklist Manifesto shows how doctors can use checklists to save lives and reduce mistakes, especially during surgery. Gawande's surgery checklist includes the following three "pause points": before anesthesia, before incision, and before leaving the operating room. Each pause point is designed to last no more than a minute—just long enough for members of the team to make basic checks (confirm the patient's identity at the beginning; check for all the needles and sponges at the end). It might not seem like pausing for a few minutes would make a difference. But the results are striking. Even short pause points before the incision helps to slow down the tempo of a surgical procedure, and that slower tempo leads to better outcomes. 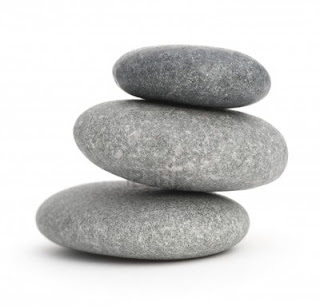 For example, starting in the spring of 2008, eight hospitals began using Gawande's checklist. Within months, the rate of major complications for surgical patients had fallen by 36 percent. Deaths fell 47 percent. 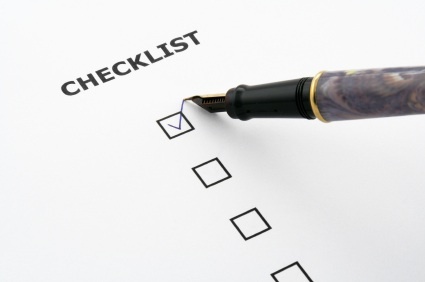 Now checklists are found at many hospitals. Checklists work because they impose delay. They add a "speed bump" before an important task so people stop and think about what they are about to do. No wonder, then, that Gawande also urges other professions—airline pilots and financial professionals, for instance—to use pause points for their jobs. That's also a good idea for every follower of Christ. Developing pause points throughout the day—before an important task or a crucial conversation, for instance—doesn't just add a "speed bump." It can also be a simple spiritual discipline that trains us seek God's perspective and ask for his help in every situation. As we think about the pauses the doctor takes to make sure all is done right and safely let it remind us to take the time each day to pause and talk to our Lord. Dear Lord, we thank You for the ability for us to come to You any time of the day. Help us take the time each day to pause and talk to You. In Jesus’ Name, Amen. But there is yet another, even worse consequence of tuning out God's Spirit: "Listen to this carefully. I'm warning you. There's nothing done or said that can't be forgiven. But if you persist in your slanders against God's Holy Spirit, you are repudiating the very One who forgives, sawing off the branch on which you're sitting, severing by your own perversity all connection with the One who forgives." Many people in the world now use GPSs for not only navigational purposes but for GEO Caching . It is really a fantastic tool. You set the address or coordinates into the tiny computer, and it tells you what road to take, how many miles or feet it is, and even how long it will take you to get there. It can tell you where there is gas and food, it can even tell you where the nearest hospital can be found! But anyone who has a GPS knows that it can also be a frustrating tool. Once you program a route, there is no stopping. Even if you just pull off the road at a rest area or gas station, you immediately hear the annoying voice of the GPS telling you that you are no longer on the intended route. If you continue in your "wayward" way, the GPS will ask you repeatedly to make a U-turn, and if you persist in ignoring it, it will continuously tell you to turn right or left, trying to get you back to the original route. This occurs until we finally give in and hit the mute button. 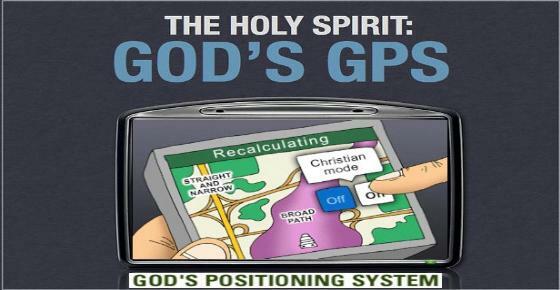 As I was out GEO Caching trying to find that hidden cache it occurred to me that the GPS is very much like the Holy Spirit. You see, God has given us a guide: His very own Spirit: "But the Helper, the Holy Spirit, whom the Father will send in My name, He will teach you all things, and bring to your remembrance all things that I said to you." (John 14:26-27 NKJV). God's Spirit will guide us. He will keep us on the right path. But we can choose to "press the mute" button! We can ignore God's Spirit and continue to do our own thing. The problem is, the consequences could be more harmful than turning down the volume on our GPS! The worst that can happen with our GPS is that we get lost! 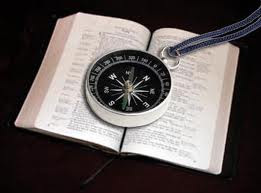 But if we ignore God's Spirit, if we continue to go on our own way, despite the warnings and heeding’s of the Holy Spirit, we will also get lost-spiritually lost! we will quickly fall into sin, we will miss opportunities to witness, we will miss opportunities to help others, and we will make wrong decisions, ones that can have lasting consequences, to name a few. If your GPS annoys you, go ahead, turn down the volume. But if God's Spirit is letting you know that you are taking a step in the wrong direction, give Him your FULL attention! Dear Lord, we thank You for the GPS that You have given us in the Holy Spirit. We pray that we would always stay tuned into the leading that is available to us. In Jesus’ Name, Amen. 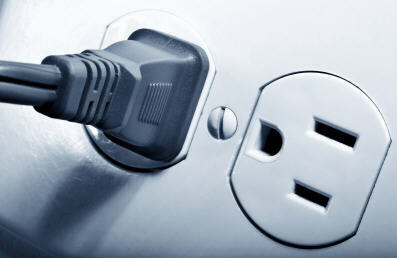 Is Your "Electrical Cord" Plugged In? Almir had heard about the incredible power of electricity from the white men visiting his tribe. He wanted more than anything to experience this power for himself, but when he finally succeeded in moving to a place where housing with such power was available, he had no idea how to tap into it. Neighbors encouraged him to buy devices such as a television, a radio and even an alarm clock. When he raised enough money, he followed their advice and purchased these items, but this only frustrated him because none of these seemed to work! The television set stood in his room, but no matter what he did, it remained silent and still. The radio was no different, and he couldn't help but wonder what the little black box called an "alarm clock" could possibly be used for. As he sat in his dark, silent house, he was mystified as to why so many people boasted about electricity. And the funny thing was, it really did seem to work for them! How could something supposedly so useful be so totally useless to him? Why were others successful, while he experienced utter failure? Had he done something bad in his life that hindered him from enjoying such power? No one bothered to tell Almir that he needed to be connected to the power source, which he needed to plug the power cord into the electrical outlet! Just imagine for a moment trying to use electric devices without electricity. Electronics would remain completely inoperative. A television set would be merely decoration-and not even a pretty one! But by tapping into the electrical source, you suddenly become provided with power beyond imagination. You can write or talk to people living in distant countries, you can be provided with heat or air-conditioning, you can cook and preserve food-All things unheard of 100 years ago! The same is true with God's Spirit, the "spiritual electricity" to anyone who believes. However, His power remains a mystery to anyone who does not connect himself to God by receiving His Holy Spirit! We cannot even fathom all the power that is available to us! Is it possible that just like Almir, we experience defeat because we do not know how to "be connected"? So many depend on their own efforts to attain heaven and to develop intimacy with God, but in all reality it is God Himself who pursues us and makes intimacy with Him possible! And, He grants us salvation at the same time! Is it possible that so many believers are experiencing failure because they have no idea of the power available to them through God's Spirit? Is it possible that we concentrate too much on our own efforts instead of depending solely on Jesus' faith? Are we realizing how much God really loves us? The difference between a victorious believer and a defeated one is that the first one is connected and remains connected. The first one lets "God's fullness" fill his inner void. Nothing else will do! Illicit attractions from this world will always be unfulfilling and deceiving and will inevitably lead to addictions. Victory can be ours, but only if we depend on Jesus' faith. Only if we make the decision to remain connected with the All-Powerful One! Dear Lord, we thank You for the power that You have for each one of us. Help us to stay connected with that power. In Jesus’ Name, Amen. A young pilot who was flying in bad weather found himself in a difficult predicament when the weather changed for the worse. Visibility dropped to a matter of feet as foggy conditions descended to the earth. Putting total trust in his airplane's instruments was a new experience to him. The ink was still wet on the certificate verifying that he was qualified for instrument flying. He wasn't worried about the flying, however. Rather, he was concerned about being able to land. His destination was a crowded metropolitan airport that he wasn't familiar with. He would be within radio contact within minutes. Until then, he was alone with his thoughts. Flying alone with no visibility, he was aware how easy it would be to panic. Twice he reached for the radio to broadcast, "Mayday!" Instead, he forced himself to go over the words of his instructor again and again. His instructor had practically forced him to memorize the rule book. He didn't care for it at the time, but now he was thankful. Finally the voice of the air-traffic controller was heard. Trying not to sound apprehensive, the young pilot asked for landing instructions. "I'm going to put you in a holding pattern," the controller responded. Great! Thought the pilot. However, he knew that his safe landing was in the hands of a person he couldn't see. He had to draw upon his previous instruction and training, and trust the guidance of the air traffic controller. The words of an old hymn, "Trust and obey for there's no other way," took on new meaning. Aware that this was no time for pride, he informed the controller, "This is not a seasoned pro up here. I would appreciate any help you can give me." "You got it!" He heard back. Are you relying on the Holy Spirit to lead you through all of life’s obstacles? Make today the day you completely trust in Him. Dear Lord, thank You for giving us the Holy Spirit to lead and guide us through the struggles of life. Help us to not try and do it on our won. In Jesus’ Name, Amen. The albatross is an amazing bird. With a wingspan of 3 meters (9.6 feet), they are amongst the largest birds that soar the Heavens. And soar they do. You see, with wings that big, they can't actually "fly". They rely on gusts of air to keep them off the ground, but once airborne, they can swoop along at speeds of 115 kph (70 mph). Because of this, the next time you decide to visit an albatross sanctuary, make sure you go on a windy day. Though it's pure ecstasy for albatross in the air, they are actually quite clumsy on the ground! With such a wide wingspan, you would expect the albatross to be absolutely huge. And don't get me wrong, they do have large bodies. But in order for their wings to be able to lay along their backs, like those of most birds, they would need bodies at least 1.5 meters (5 feet) long, which would make them so heavy, they would have trouble staying airborne! So in order to help them manage their extensive wingspan, yet still have manageable-sized bodies, God created them with a unique feature: When on the ground, the outer half of the albatross' wing actually folds up under the inner half! Amazing! But as a result, when sitting on the ground, the albatross looks like nothing more impressive than a large gull. Unfortunately, there are few in this world who can just "pop over and visit" an albatross sanctuary. The albatross is an endangered bird. Of the 21 species of albatross known, only two are not threatened with extinction. Your best bet for viewing these magnificent birds are the in the southern oceans between Antarctica and the southern parts of South America, Africa, and Australasia. Interestingly, these are areas of consistent wind, and remember: Without wind, the albatross cannot fly! If you ever visited the Royal Albatross Centre in Dunedin, New Zealand, you would be delighted to see the numerous birds floating around overhead. You would find out that not all the birds are albatross. You would learn that the vast majority of the flying birds were ordinary gulls. You would think it would be easy to see the difference in the birds when they were in the air, after all, what gull has a wingspan of 5 feet? But in all honesty, when you're just looking up at those little dots in the sky, it's pretty hard to judge wingspan! Unless you were fortunate enough to see a gull and an albatross flying together, that is! Then the difference becomes obviously apparent! As a Christian, it's sometimes hard to see any advantage in our lives over that of our non-Christian friends and co-workers. In fact, it may often seem like the lives of our non-Christian contacts are less restrictive and more fun than our own. In church we hear about "the riches of His glorious inheritance in the saints" (Eph 1:18c). We read about the "incomparably great power for us who believe" (Eph. 1:19a). We see other Christians who obviously know "the hope to which He has called [them]" (Eph 1:18b), but in all honesty, we don't see these fruit in our own lives! Could it be that we are like the albatross on a non-windy day, grounded by our human natures? Could it be that we are not filled with God's Spirit, that Heavenly "Wind"? 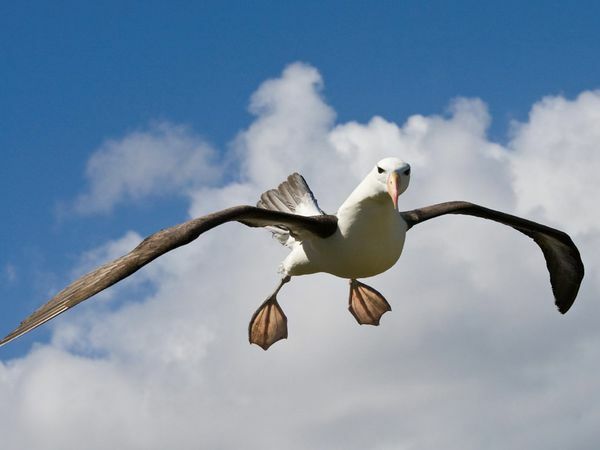 Remember, albatross are clumsy on the ground, but once they are caught up by a gust of wind, they unfold their wings and soar into the Heavens! The same is true for us! Once we experience the winds of God's Spirit, once we submit to that breeze of His presence, our spiritual wings will unfold and we will soar. Dear Lord, help us not to keep our self-grounded but that we would let the Holy Spirit fill us so that we can soar for You in all that we do. In Jesus’ Name, Amen. 1 The word of the Lord came to Jonah son of Amittai: 2 “Go to the great city of Nineveh and preach against it, because its wickedness has come up before me.” 3 But Jonah ran away from the Lord and headed for Tarshish. He went down to Joppa, where he found a ship bound for that port. After paying the fare, he went aboard and sailed for Tarshish to flee from the Lord. The story is told about two one year old cubs. Their mother was nowhere in sight. As a van approached the two of them began to run. One of them headed deep into the scrub. The other ran and hid behind a sapling. Thinking it could no longer be seen, he tentatively peeked out from behind the scanty foliage. What a sight. 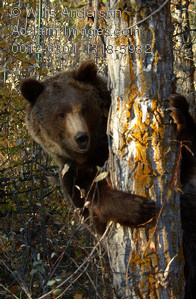 This chubby black bear sticking out like a sore thumb from behind this skinny excuse for a tree, thinking he couldn't be seen. I wonder just how often God gets just such a kick out of watching us, as we too, much like Jonah run away from Him and what he has called for us to do. We shrug off a command we have read in Scripture. We turn away from a plea which we know we should answer. We decide to get serious about spiritual discipline later, not today; we are too busy, or too scared or simply not interested just now. We think we can hide from God, he won't see, he won't know. What a laugh. God knew where Jonah was every single minute. Jonah thought he could hide but he couldn't and neither can we. Are we attempting to hide from God today? If so perhaps we should rethink our situation before God decides to take action and it's no longer a laughing matter. Dear Lord, thank you that we cannot hide from you. Thank you that you know where we are every single moment and that your patience and mercy are great even when we are foolish. Help us to listen and to obey you, to know that whatever it is you are asking of us to do. In Jesus’ Name, Amen. Many living things need each other to survive. I remember taking family vacation to Colorado and seeing the Colorado aspens. If you are familiar with this tree, you may have noticed that it does not grow alone. 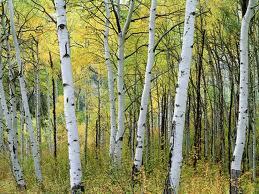 Aspens are found in clusters, or groves. We're told that the reason for this is because aspens can multiply from the roots. They send up lots of new shoots every year. These become saplings that grow quickly and make new baby aspens of their own. In some groves, all of the trees may actually be connected by their roots. It is as if they are one tree. Another tree, the giant California redwood, may tower 300 feet into the sky. We've seen pictures of tunnels carved into massive trunks wide enough to drive an automobile through. It seems they would require the deepest of roots to anchor them against strong winds. But instead their roots are actually shallow -- they spread out wide in search of surface water. And they reach in all directions, intertwining with roots of other redwoods. Locked together in this way, all the trees support each other in wind and storms. We as people, too, are connected by a system of roots. We grow up in families that nurture and guide us. We learn early to make friends who support us in different ways. We are not meant to survive long without others. And like the giant redwoods, we do best when we hold onto one another and help each other to keep standing through life's storms. We need others to hold us up, encourage us and to stand with us. When I'm not doing well, it is often because I am going it alone. I don't always let others in. I forget to ask for help; I keep my problems to myself. And though I may not see it, others around me might be doing the same thing. It helps to remember how much like those trees we really are. It might be time to let someone else help hold you up for a while. Or perhaps someone needs to hang on to you. Dear Lord, help us take the time to reach out to others to help them and hold them up. We pray that our eyes would be open to those around us so we can like the great tress hold each other up through the tough times. In Jesus’ Name, Amen. The soldiers spoke quietly among themselves and the first soldier then turned to the village elders. "Your tired fields have left you nothing to share, so we will share what little we have, the secret of how to make soup from stones." Naturally the villagers were intrigued and soon a fire was put to the town's greatest kettle as the soldiers dropped in three smooth stones. "Now this will be a fine soup," said the second soldier, "but a pinch of salt and some parsley would make it wonderful!" Up jumped a villager, crying "What luck! I've just remembered where some has been left!" And off she ran, returning with an apron full of parsley and a turnip. As the kettle boiled on, the memory of the village improved, soon barley, carrots, beef and cream had found their way into the great pot, and a cask of wine was rolled into the square as all sat down to feast. They ate and danced and sang well into the night, refreshed by the feast and their new-found friends. In the morning, the three soldiers awoke to find the entire village standing before them. At their feet lay a satchel of the village's best breads and cheese. "You have given us the greatest of gifts, the secret of how to make soup from stones," said an elder, "and we shall never forget." The third soldier turned to the crowd and said, "There is no secret, but this is certain, it is only by sharing that we may make a feast." And off the soldiers wandered, down the road. Dear Lord, help us take what You have given us and share it with others. Help us use our talents and gifts together with others to further Your kingdom. In Jesus’ Name, Amen. A rat looked through a crack in the wall to see the farmer and his wife opening a package. What food might it contain? He was aghast to discover that it was a rat trap. Retreating to the farmyard the rat proclaimed the warning; "There is a rat trap in the house, a rat trap in the house!" The chicken clucked and scratched, raised her head and said, "Excuse me, Mr. Rat, I can tell this is a grave concern to you, but it is of no consequence to me. I cannot be bothered by it." The rat turned to the pig and told him, "There is a rat trap in the house, a rat trap in the house!" "I am so very sorry Mr. Rat," sympathized the pig, "but there is nothing I can do about it but pray. Be assured that you are in my prayers." The rat turned to the cow. She said, "Like wow, Mr. Rat. 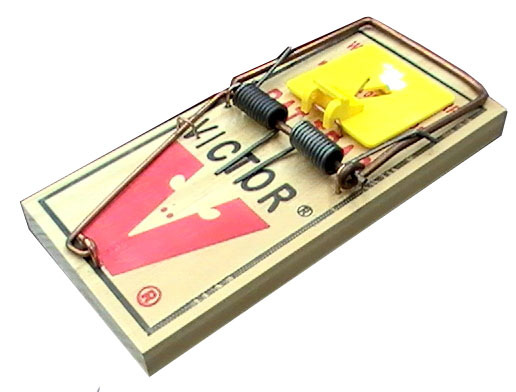 A rat trap. I am in grave danger. Duh?" That very night a sound was heard throughout the house, like the sound of a rat trap catching its prey. The farmer's wife rushed to see what was caught. In the darkness, she did not see that it was a venomous snake whose tail the trap had caught. The snake bit the farmer's wife. The farmer rushed her to the hospital. She returned home with a fever. Now everyone knows you treat a fever with fresh chicken soup, so the farmer took his hatchet to the farmyard for the soup's main ingredient. His wife's sickness continued so that friends and neighbors came to sit with her around the clock. To feed them the farmer butchered the pig. The farmer's wife did not get well. She died, and so many people came for her funeral that the farmer had the cow slaughtered to provide meat for all of them to eat. Moral to the story: The next time you hear that someone is facing a problem and think that it does not concern you, remember that when there is a rat trap in the house, the whole farmyard is at risk. Dear Lord, we pray that we would have our eyes open to the struggles others are having around us. Help us be the one to be used by You. In Jesus’ Name, Amen. "For God to move in our lives we have to move with God. We have a major part to play in God's moving. You can't just sit back and say 'Well, God you've made certain promises, now it's your responsibility to fulfill them - Do it God.' Just because God has promised something, doesn't mean that you are freed from doing anything. It's not a case of you sitting back and relaxing while God works. In virtually every situation where God has worked mighty wonders, there has been somebody or people who've done a whole lot in actively cooperating with God." Now, fourteen years later, this very church is known in the neighborhood as the "caring church". It all started with the creation of the ministry named Living Hope, whose goal was to "seek to reach people for Christ, bringing hope and breaking the despair of poverty and disease." They did so by providing "prevention, care, treatment and support of people infected and affected by HIV and AIDS and other chronic illnesses." 14 years ago many who lived in Masiphumelele had no hope at all for a bright future. Kids as young as six were addicted to alcohol and drugs. By the time they were 11; most kids actually hope to obtain AIDS! Why? So that their suffering would end by the time they were twenty! They literally had nothing to look forward to. All of this changed when Christians went beyond the four walls of their church and started to show compassion to the downtrodden. Living Hope currently has a budget of 1.2 Million dollars a year and a full-time staff of 185 and several missionaries who have come to serve with Living Hope. It isn't easy to work amidst a dying population, but the hope this team provides is what energizes them. God's Word becomes a reality amidst such realities. Interestingly, the church itself only has a $300,000 yearly budget and a total staff of 9. 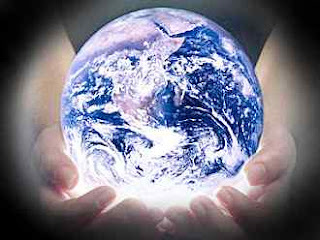 Their focus is clear: to make a difference in this world and bring hope to the downtrodden. The people dying of HIV no longer have to die alone. They can face death without fear. Prevention and counseling happens in multiple Support Groups reaching several thousand and support is given to those facing the harsh facts of their condition. Many are provided with treatment that keeps their disease under control so that they can live a normal life, and hope is truly blossoming among that poor community. This one local church of about 450 people now has an outreach to around 30,000 people per year in their area that face the despair of poverty and disease. The hope of Jesus is brought to these folk. Dear Lord, help us to have our eyes open so that we can see those in need, but not only just see them but reach out to them as You would have us to do. In Jesus’ Name, Amen. Are You Strengthening Yourself by Helping Others? Do You Feel You Are The Only One Working? Will You Share Your Corn Seeds? A Blizzard and Working Together.